You can recognize the all too familiar symptoms almost immediately, like a rapidly beating heart, sweaty palms and shortness of breath. Maybe you even experience nausea or other abdominal issues. You may get dizzy, faint or have trouble swallowing. All of these physical symptoms can be the sign of an anxiety attack. But what causes an anxiety attack and how can you avoid them? Read on for the lowdown on these challenging episodes, including what to expect, why they occur and what you can do about them. Before discussing what causes an anxiety attack, it is a good idea to learn how to recognize one of these episodes in the first place. Anxiety attacks are the result of the fight or flight response our body has to stressful or threatening situations. The symptoms of an anxiety attack might include sweating, hyperventilating, trembling and abdominal cramping. You might also feel dizzy, lightheaded or nauseous. Some will experience an increased heart rate, hot flashes or chest pain. Many complain that there is a feeling of impending doom that accompanies these many physical symptoms as well. 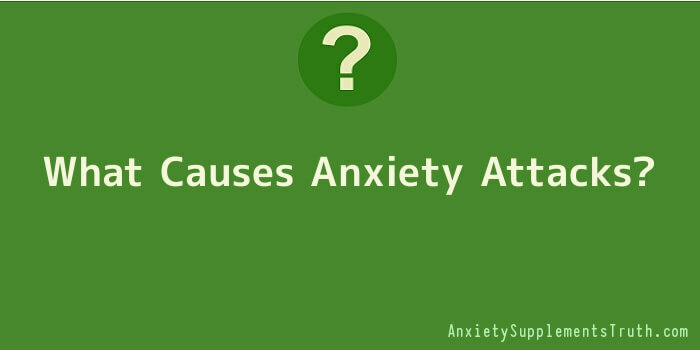 So, what causes an anxiety attack to occur? In some cases, the cause of an anxiety disorder can be a stressful event like graduating from college, getting married or having a baby. A significant loss can also be what causes an anxiety attack, such as the death of a loved one or a divorce. Some medications can trigger an anxiety attack, particularly those that contain stimulants like weight loss supplements and cold medications. You can also suffer from anxiety attacks through substance abuse. What Are Anxiety Attack or anxiety Disorder? Once you are familiar with what causes an anxiety attack, the next step is to determine whether you are suffering from a single episode or a series of attacks that could point toward an anxiety disorder. Many people may only have one or two anxiety attacks throughout their entire life, so determining what causes an anxiety attack is not a very relevant quest. However, if you suffer from multiple attacks in a month, or even a week, those anxiety attacks can begin to get in the way of your daily life. For example, you may begin to change your routine for fear that an attack may strike when you are away from home. If multiple attacks are affecting your quality of life, it is important to determine what causes an anxiety attack so you can find the most effective treatment option possible. Most people find that a combination of medication and psychotherapy are generally the most successful choice in keeping anxiety attacks under control. If you want to know what causes an anxiety attack, make an appointment with your doctor for a full evaluation.